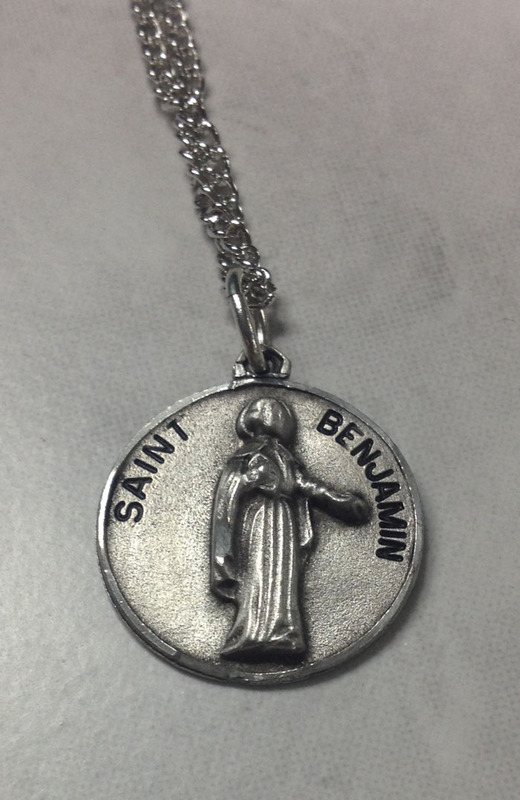 Crafted in pewter, this Saint Benjamin medal is an ideal gift for a confirmation or RCIA candidate. Made in the USA, Creed® carefully creates this highly detailed image of the saint. This medal is sure to be a cherished gift for the one who receives it. Comes with an 18" chain.